Former President Olusegun Obasanjo has accused incumbent President Muhammadu Buhari of planning to frame him up for possible arrest, for speaking out against Buhari's "poor governance". Obasanjo made the allegation on Friday in a statement signed by his media aide, Kehinde Akinyemi. The former president said his name was on the Watch List of Buhari’s administration. Obasanjo said the security of his life cannot be guaranteed with the government’s latest move against him. Obasanjo said since his State-of-the-Nation Special Statement on January 23, 2018, “the Federal Government had embarked on desperate efforts to frustrate, intimidate and blackmail him into abandoning what he termed ‘divine mandate to protect the rights of the people to better life and living'." Recall that Buhari recently accused Obasanjo of frittering away $16 billion on phoney electricity projects. Obasanjo dismissed the claim saying the president was ignorant. 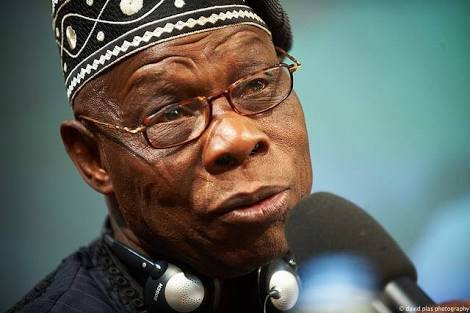 "But, since that could expose the Government to a swath of international condemnation, embarrassment and outrage, it is said that another plot being hatched is to cause the Economic and Financial Crimes Commission (EFCC) to re-open investigation into the activities of Chief Obasanjo’s administration using false witnesses and documents. This will be a re- enactment of the Abacha era in which Chief Obasanjo was one of the principal victims."